Are you confident that your fire extinguisher will work when you need them to? 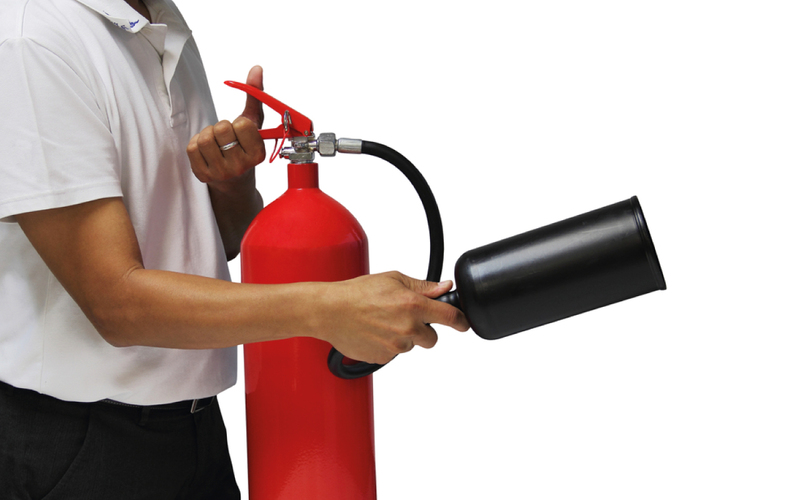 Assessed Risk Ltd can recommend, provide, install and maintain fire extinguishers within your premises. We can also provide rental packages to suit your business needs. We only use high quality fire extinguishers which are Kitemarked, CE marked to current British standards and are also BAFE Approved. As standard, fire extinguishers supplied during a service come with a 5-year warranty, fully commission serviced and labelled with a certificate lasting 12 months for fire inspection and insurance purposes. There is a large misconception that a brand-new fire extinguisher can simply be purchased and installed into a business premises. This is incorrect, even brand-new fire extinguishers MUST be commissioned and serviced as described in British Standards 5306-3 Annex B, taking into account the safety precautions given in Annex C.
Our extinguishers can be purchased for the following costs. Please note that we can also supply other sizes of the items listed below, as well as Wet Chemical Extinguishers. Contact us for recommendations, sizes and costs. Again, other sizes and types can be supplied, contact us for a quote. Any items significantly damaged or missing will be charged at the purchase cost. Damaged or repairable will be charged accordingly. All extinguishers should be returned in clean condition as supplied. Please note our Terms & Conditions.